These Marian blue bookmarks contain the 15 Promises for those who pray the Rosary, as given to St. Dominic and Bl. Alan de la Roche. Wonderful to include with books you give as gifts, or in your parish for visitors (with your pastor's permission, of course!) 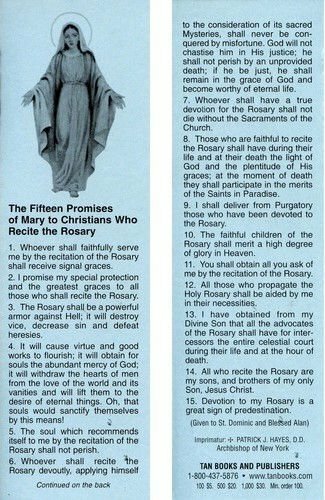 to remind everyone to pray the Rosary. This catalog item is for a ten pack of these bookmarks.